Acamprosate & Magnesium for the Treatment of Alcohol Withdrawal. J. Korean Academy of Addiction Psychiatry 2010:14(2):84-90. Smoking and smoking cessation in the mentally ill patients. J. Korean Society for Research on Nicotine and Tobacco 2010:1(2):96-106. Application of Minerals in Managing Alcohol Hangover : A Preliminary Review. Current Drug Abuse Reviews 2010:13(2):110-115. 천성수, 노성원, 이계성. 조세정책을 통한 알코올관련 폐해예방. 국립서울병원 국립정신보건교육/연구센터 2010. 조근호, 이계성, 이상규, 박애란, 채숙희. 음주, 흡연, 약물사용 선별검사 및 조기개입(Alcohol, Smoking & Substance involvement Screening test with Brief Intervention: ASSIST with BI) 도구의 표준화 및 타당성 연구. 국립서울병원 국립정신보건교육/연구센터 2010. 조근호, 채숙희, 이계성, 조성남, 최미미, 공현아. 마약류중독자 치료보호 가이드라인 제작. 보건복지부 건강증진사업지원단 2010. 이계성, 정은기, 노성원. 알코올 사용과 스트레스. 국립서울병원 임상연구논문집 2010:59-66. 이계성, 조근호. 알코올 폐해 예방과 사회 안전망 구축을 위한 주취해소센터와 치료명령제의 활성화. 대한 신경 정신 의학회, 한국 중독 정신 의학회 공동 정책 연구 과제 2010. 중독 치료지침서 개발위원회. 중독 치료 지침서 (1. 알코올 사용장애 2. 도박 중독). 한국 중독정신의학회/보건복지부 지정 알코올 사업지원단. 2011. 이계성, 장안기, 장민욱. 정신질환에서 병식과 인지기능의 상관관계에 대한 고찰. 국립서울병원 임상연구논문집 2011. Commparison of Naltrexone and Acamprosate 's Medication Compliance for 12 months in patients with Alcohol Dependence. J. Korean Academy of Addiction Psychiatry 2011:15(2):58-64. 이해국, 이계성, 김현수, 정슬기. 음주 폐해 예방 감소를 위한 치료활성화 방안. 보건복지부 정신건강정책과/가톨릭대학교 산학협력단. 2011. 음주폐해 감소를 위한 국가전략 2020. 보건복지부 정신건강정책과/가톨릭대학교 산학협력단. 2011. The Effect of Insight and Executive Function on Treatment Adherence in Patient with Alcohol Dependence. J. Korean Academy of Addiction Psychiatry 2012:16(2):1-7. 김희연·김현수·이해국·이계성·조근호·최삼욱·천영훈·이보혜·윤홍균·한창우·오홍석·남범우·서정석. 한국형 중독 치료 지침서(II) : 알코올 금단의 약물 치료. J Korean Neuropsychiatr Assoc 2013;52:67-75. KS Lee. The Relationship of Alcohol and Crime in Korea. J Korean Med Sci 2013;28:1-3. 이보혜·김현수·서정석·신영철·기선완·김성곤·조근호·이계성·최삼욱·천영훈·노성원·오홍석·윤홍균·한창우·조선진·김대진·박애란·이수비·이해국. 한국형 중독 치료 지침서(I) : 알코올 사용장애 치료 지침서 개발. 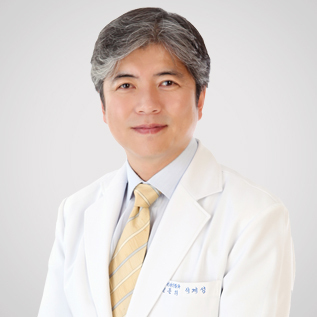 J Korean Neuropsychiatr Assoc 2013;52:263-271. WG Yeo, KS Lee. Reliability , Validity and Optimal Cut-Off Points of the Korean version Severity of Dependent Scale(SDS) in a Korean Sample of Alcohol Drinkers J. Korean Academy of Addiction Psychiatry 2013:17(2);80-86. YJ Shin, KS Lee. The Difference of Executive Cognitive Function According to Age and Experience of Delirium Tremens in Alcoholics J. Korean Academy of Addiction Psychiatry 2013:17(2);93-98. 이계성, 정슬기, 이재경, 김지선. 정신건강관리가 필요한 보호관찰 대상자를 위한 서비스 모형 개발 보호관찰 2014;14(2): 109-147. 정슬기, 이계성, 이재경, 김지선, 김수룡. 성인 및 청소년 보호관찰 대상자 정신건강에 대한 탐색적 연구 보호관찰 2015;15(2): 87-129. YM Park, SH Lee,BH Lee, KY Lee, KS Lee, SG Kang, HY Lee, W Kim. Prolactinandmacroprolactinlevelsinpsychiatricpatientsreceiving atypical antipsychotics : A preliminary study. PsychiatryResearch 2016;239:184–189. KS Lee, YH Cheon. Therapeutic Intervention for Mental Illness and Alcohol/Drug Use-Related Offenders. J. Korean Academy of Addiction Psychiatry 2016:20(1);3-9.